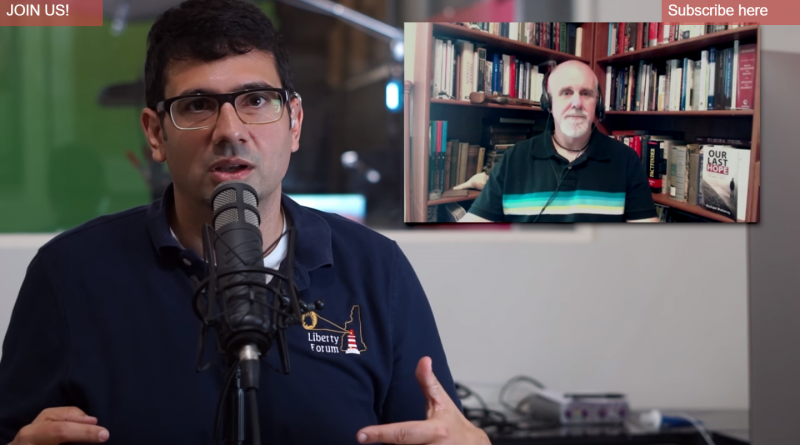 Filling In For RSB – Michael Boldin and Mike Maharrey! Michael Boldin and Mike Maharrey from The Tenth Amendment Center are filling in for a traveling RSB! What will they be talking about today? 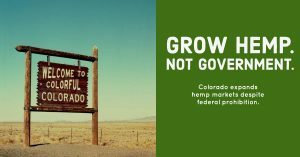 Status Report: Seventeen States Flat-Out Ignoring Federal Hemp Laws and Markets Are Thriving Even with the liberalization of the law in 2014, the federal government still prohibits industrial hemp production for commercial purposes. But this hasn’t stopped more than a dozen states from developing commercial hemp markets anyway. They’ve simply ignored the federal laws, nullifying prohibition in effect within their borders. 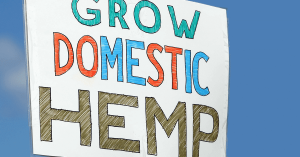 Seventeen states specifically authorize and license commercial hemp production despite federal prohibition, and many other states allow commercial cultivation despite paying lip-service to federal law. In 2014, Congress cracked the door open for hemp in the U.S. with an amendment to the 2014 Farm Bill. The law allows hemp cultivation for research purposes, but prohibits “commercial” production. The “hemp amendment” in the 2014 farm bill — …allows State Agriculture Departments, colleges and universities to grow hemp, defined as the non-drug oilseed and fiber varieties of Cannabis, for academic or agricultural research purposes, but it applies only to states where industrial hemp farming is already legal under state law. Despite Absolute Federal Prohibition CBD Products Still Widely Available Many people consider cannabinoid (CBD) a miracle drug. But the federal government considers it an illegal substance. 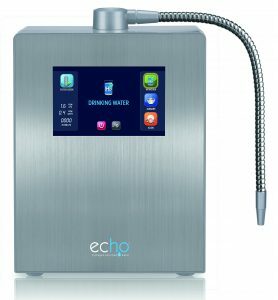 CBD has proven effective in treating a number of medical conditions, including seizures, pain and anxiety. Articles touting CBD have appeared in mainstream publications. For instance, the Washington Post that called it “the new ‘it’ drug.” Robert Scott Bell is a homeopath and a leading voice for health freedom and healing liberty. He’s hosted his syndicated radio show for nearly two decades and has touted the benefits of CBD for years. 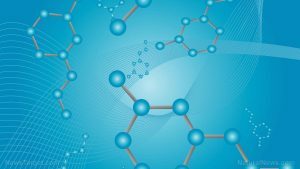 “Cannabinoids are proving to be both powerful and safe in reducing reliance on dangerous and addictive opioids, easing pain, anxiety and other, previously untreatable neurological disorders. 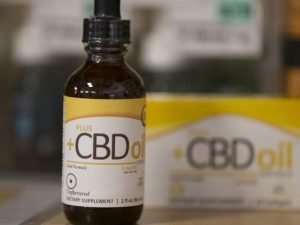 CBD is invaluable in helping children overcome treatment-resistant seizure disorders and even shows promise for children on the autism spectrum,” Bell said. 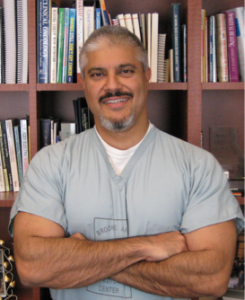 “My wife is alive today because of the pain and anxiety relief she received from CBD over the last 5 years from a dental injury that the FDA approved painkilling drugs could not touch.” CBD is derived from cannabis. But since it’s generally processed from industrial hemp, it does not contain high levels of THC – the active ingredient in marijuana that makes people high. As a result, many people mistakenly believe CBD is legal. In fact, many mainstream articles claim it is “legal in all 50 states.” But the federal government begs to differ. In fact, the DEA considers CBD a schedule 1 drug and as such, you should be cautious if you purchase CBD oil locally, it is generally illegal across the country. Signed by the Governor: Illinois Law Legalizes Industrial Hemp Despite Federal Prohibition On Sunday, Illinois Gov. Bruce Rauner signed a bill legalizing industrial hemp in the state and taking a first step toward nullifying federal prohibition of the plant in effect. Sen. Tori Hutchinson (D-Chicago Heights) sponsored Senate Bill 2298 (SB2298). The legislation legalizes industrial hemp in Illinois by removing it from the state’s list of controlled substances and implementing a licensing program for the cultivation of the plant. It appears the state intends to create a federally compliant “research only” licensing program. A provision in the bill requires applicants to a “provide a description of one or more research purposes planned for the cultivation of industrial hemp which may include the study of the growth, cultivation, or marketing of industrial hemp.” But the language of the new law specifically leaves the door open for the commercial sale of hemp and hemp products. “The research purpose requirement shall not be construed to limit the commercial sale of industrial hemp.” The House passed SB2298 by a 106-3 vote. The Senate approved the measure 50-0. After the Senate concurred with technical House amendments, the bill went to Gov. Rauner’s desk. With his signature, the law went into immediate effect. Now in Effect: Two Colorado Laws Expand Hemp Market, Despite Federal Prohibition Today, two laws that will further mainstream the state’s industrial hemp industry went into effect. 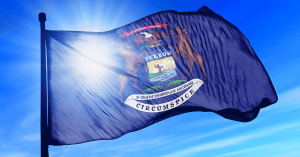 Implementation of these new policies will likely pave the way for faster development of the state’s hemp market, and further nullify federal prohibition in practice and effect. A bipartisan coalition of two senators and two representatives sponsored Senate Bill 205 (SB205). The new law includes unprocessed industrial seeds in the definition of “commodity” within the “Commodity Handler Act” and includes industrial hemp itself in the definition of “farm products” within the “Farm Products Act.” In effect, this will subject any person acting as a commodity handler of hemp seed and any farm products dealer of hemp to the licensing requirements already in place for commodities and farm product dealers. Currently, commodities include hard seeds or fruits such as wheat, corn, oats, barley, rye, sunflower seeds, soybeans, beans, grain sorghum and other seeds. Farm products include any “unprocessed product of the soil,” livestock, milk, honey, and hay. By adding hemp to these definitions, state law will treat industrial hemp more like other agricultural products, mainstreaming the industrial hemp industry. 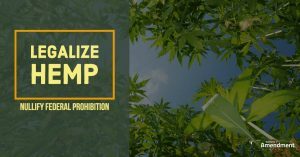 While it will mean more regulations for handlers, it will likely serve to instill confidence in the market and removes the impression that hemp is something “different.” In effect, the new law will move the state a step closer to “normalizing” hemp and treat it the same as any other farm product like corn or tomatoes. Top Cancer Researcher Fails to Disclose Corporate Financial Ties in Major Research Journals This article was reported and written in a collaboration with ProPublica, the nonprofit investigative journalism organization. One of the world’s top breast cancer doctors failed to disclose millions of dollars in payments from drug and health care companies in recent years, omitting his financial ties from dozens of research articles in prestigious publications like The New England Journal of Medicine and The Lancet. 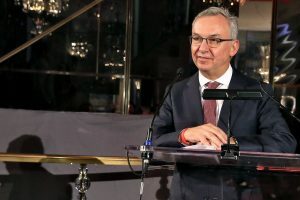 The researcher, Dr. José Baselga, a towering figure in the cancer world, is the chief medical officer at Memorial Sloan Kettering Cancer Center in New York. He has held board memberships or advisory roles with Roche and Bristol-Myers Squibb, among other corporations, has had a stake in start-ups testing cancer therapies, and played a key role in the development of breakthrough drugs that have revolutionized treatments for breast cancer. According to an analysis by The New York Times and ProPublica, Dr. Baselga did not follow financial disclosure rules set by the American Association for Cancer Research when he was president of the group. He also left out payments he received from companies connected to cancer research in his articles published in the group’s journal, Cancer Discovery. At the same time, he has been one of the journal’s two editors in chief. Study: Marijuana Use Is on the Rise Among Baby Boomers Marijuana use is on the rise, particularly with the “Baby Boomer” generation. A study published in the Drug and Alcohol Dependence Journal Thursday compared 2015-2016 data of marijuana users and non-users within and across age groups to a similar study done in 2016-2017, and found that double the number of “baby boomers” since 2006 have used marijuana. The findings found that 9% of adults aged 50 to 64 said they used marijuana over the past year, with 55% of those adults admitting they’ve tried it at least once in their lives. 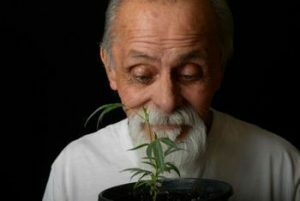 Of adults 65 and older, 3% said they had used marijuana over the last year and 22% said they’d tried it at least once. The study, ran by New York University’s Dr. Benjamin Han and Dr. Joseph Palamar, examined data from 17,608 adults 50 years of age and over who took the National Survey on Drug Use and Health. The national survey has been conducted every year since 1971 by the federal Substance Abuse and Mental Health Services Administration across all 50 states. 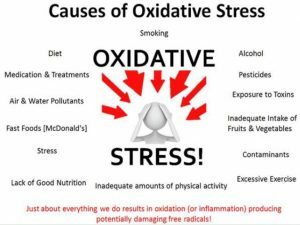 ← SOHO Expo, Big Pharma deception, Josh Hendrix, Farm bankruptcy crisis, Maggie Frank, CBD updates, NHS Diabetes FAIL, Heavy metal concerns, Flu vaccine deaths, Elder medication crashes, Medical freedom “nonsense”, Benefits of Arnica. 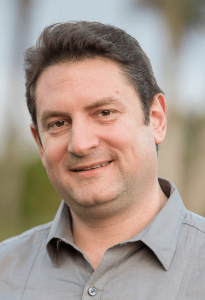 Miles Sarill, CV Sciences, Plus CBD Oil and MORE!